Anna is one of our Alma mechina participants (a mechina is a pre-army academy) and she is generously sponsored by Women's Philanthropy of the Jewish Federation of Greater New Haven. 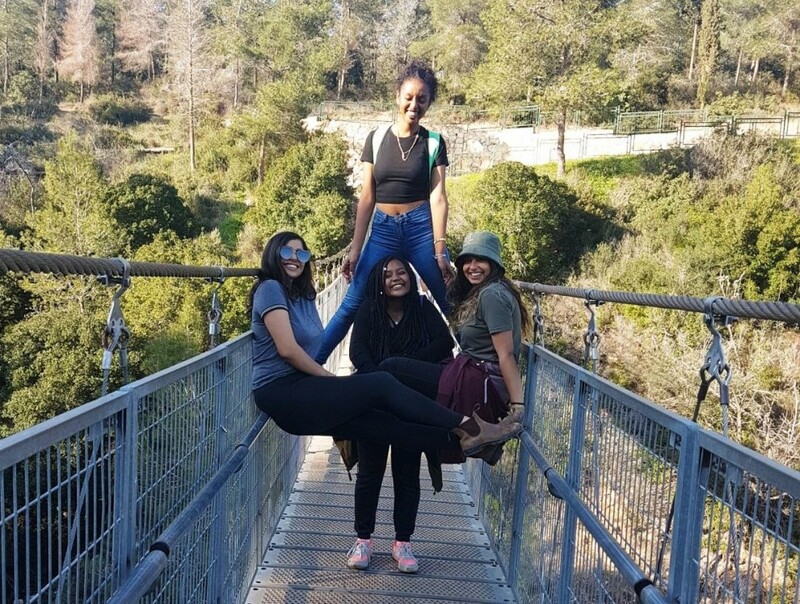 Alma is a Pre-Military Mechina (preparatory program) that helps Israeli girls from disadvantaged backgrounds get the most out of their military service. The six-month program - which includes studies, hiking, volunteer service, and physical training - helps build their self-confidence and paves their way into some of the most prestigious army units available. 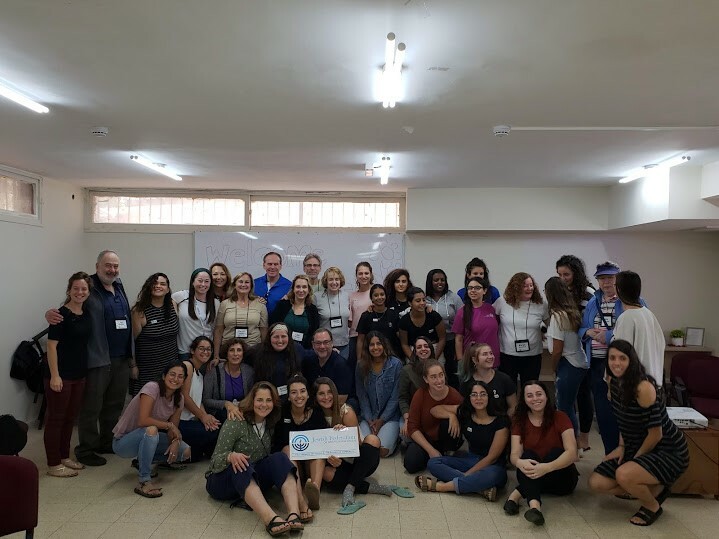 Alma advocates for these girls directly to the IDF, providing the IDF with a stronger base of new soldiers, substantially raising the girls’ chances of desirable assignments, and changing their trajectories for a lifetime. As a child, Anna was seriously neglected by her parents to the point that she was taken to a foster care family by the welfare services in her town. In high school, she was sent to a boarding school, while still keeping in touch with her foster family. The connection to her biological family was difficult, as she suffered from many tantrums and adopted a rebelling behavior attitude. Anna's future was in jeopardy. Her prospects in the army were bleak and she would have ended up in an administrative job or rejected from the IDF altogether. In Israel, IDF service plays an important factor in the future career prospects of a young Israeli. Anna's life changed when she was referred to the Alma mechina by her boarding school. For the first time, she was given a real chance. Anna is progressing wonderfully in the Mechina. After three difficult months, she recently had a breakthrough with the other girls. While she wanted to continue and complete the program, she was finding it difficult to communicate with the girls, open up about her background. She found herself feling very isolated from the other girls who were all starting to open up, share and grow closer. The change occurred after the mid-term seminar, a week during which the Mechina stops its regular schedule in order to take a look back at the participants’ achievements and the challenges they’ve overcome. During that week, Anna shared her life story with the group for the first time and not one eye remained dry throughout. It was a meaningful landmark for Anna, to open up and share her thoughts and feelings publicly. But specifically, it changed the group dynamics towards her and improved her social connections. Until then, other participants didn’t understand why she behaved the way she does, and found her behavior and mood swings difficult to accept, which prevented them from reaching out to her to talk or listen. In turn, Anna had difficulties explaining her fears or anger in a way that the girls could relate to. After they heard her story and her “secret” was out - they were totally unaware of her childhood, growing up without a family, moving from one foster home to another - they now better understood her difficulties and it drew them closer to her. She prepared for this in her one-on-one counseling meetings with the Mechina psychologist. Since then, the girls have taken a more active role to try and help her, they bought her clothes she needed and they now spend more time with her talking and trying to guide her. She has made a lot of progress in many personal aspects: she has taken on a lot more responsibility in the Mechina now in the day-to-day chores. She’s in charge of the orientation days at the Mechina – where prospectie participants come to see the program in preparation for the upcoming year. Anna is now also responsible for the Mechina website and Facebook page. Anna still faces significant challenges: each week raises doubts about where she will go for that weekend and she continues to search for a permanent home. Knowing that she will never have a "regular" home causes her pain and difficulty occasionally pushing her to return to a place of anger and sadness. At the same time, she is coping amazingly and chooses to make her home at the Mechina, even though she knows and understands that it's temporary. While she is waiting for the IDF to recognize her as a lone soldier, she is very excited and hopes to be provided a home off base, supplied and payed for by the army. She is very grateful to have so many people that are helping her with the process and hopes that soon she will be in a position to help others. The progress that Anna has made is truly life altering, from lacking in trust and not wanting to share, often angry and moody, isolationist and without real connections to the world around her to a warm, involved, connected young woman with real prospects and dreams in front of her. Truly an inspirational figure who will no doubt go on to help the next generation with the very lessons she has learned.